• Eliminating excessive underarm sweating. 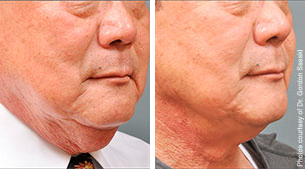 Is your sagging chin, neck, jowls or jawline causing you to age with less grace? Thanks to PrecisionTx’s advanced laser technology, there is now a one-hour, one-time treatment that will bring back years to your face! Many times a traditional surgical facelift, which requires a larger investment in recovery time, is not necessary to achieve desired results. Using PrecisionTx, we can perform a mini-facelift and have you returning to your normal activities in just a few days. PrecisionTx, when used on the face, can non-surgically tighten and lift skin, producing a refreshed more youthful appearance. 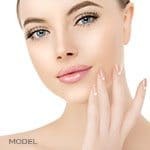 PrecisionTx laser face lifts delivers significant results whether you are looking for face and neck contouring or lifting and tightening of jowls or jawlines. To perform this procedure, a tiny incision is made discreetly underneath the jawline after numbing the treatment area. Next, PrecisionTx’s laser fiber, which is about the size of the tip of a pen, is used to deliver a thermally regulated laser energy to melt fat and stimulate collagen production to tighten the skin. 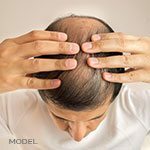 With only one treatment needed for long-lasting results, what are you waiting for?